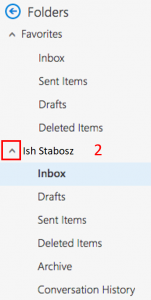 By default, you will see a “focused” view of your mail folders. 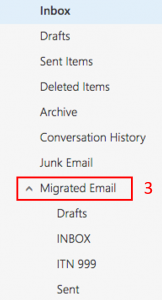 All of the email from the old system was copied to a “Migrated Email” folder. 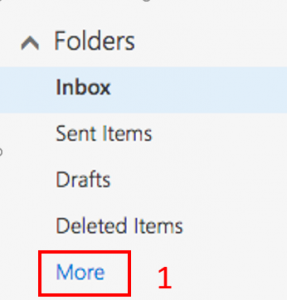 Click on “More” under your “Deleted Items” folder. Then click the downward facing arrow icon to the left of your name to expand all your folders. Finally, you should see the “Migrated Email” folders and be able to expand those.